Here’s a great festive treat! This recipe is surprisingly easy and made with simple ingredients! How can this awesome swirling cake not catch your attention? 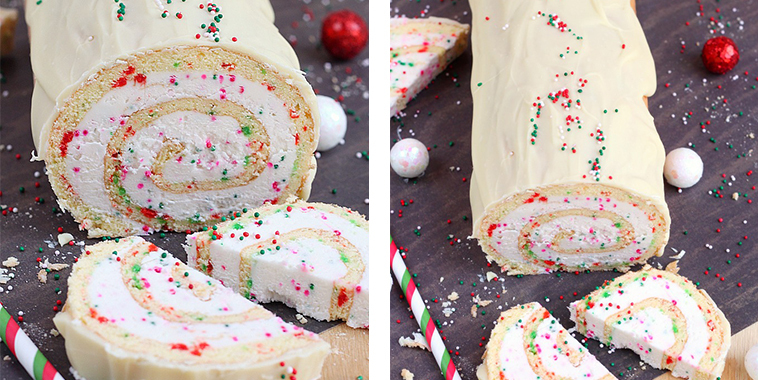 If you don’t want to make it have the Christmas style you can choose different color sprinkles to add! Each slice you cut has the perfect amount of cake versus icing. With a prep time of only 15 minutes how can you not try this out? You will love this elegant cake!